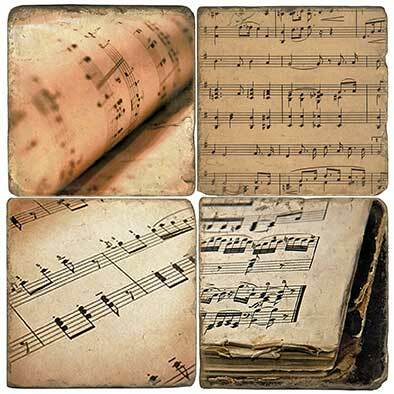 Sheet Music Coasters – Show off your passion for music with these awesome sheet music coasters! These coasters are hand printed in the USA on fine Italian marble! They come in a set of 4 and feature a corked backing.